Signed l.l., charcoal "G W LAMBERT". 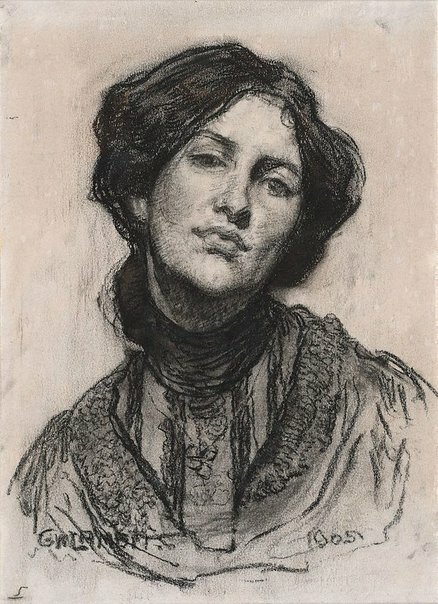 Dated l.r., charcoal "1905". Art Gallery of New South Wales annual report 2006 , 'Year in review: Australian art', pg. 20-22, Sydney, 2006, 23 (colour illus.). Hendrik Kolenberg, Look , 'George Lambert's drawings', pg. 22-23, Sydney, Oct 2006, 23 (colour illus.). The world of Thea Proctor , Canberra, 2005, 33 (colour illus.). Look , 'Welcome', pg. 10, Sydney, Oct 2014, 10 (illus.). Art and Artifice: George Lambert (1873-1930) , 1996, 86 (illus. ).